The author, T.N. 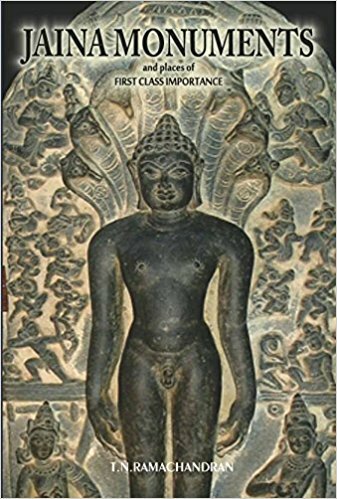 Ramachandran (1901-1973) an Indian art historian, artist, archaeologist and a Sanskrit scholar, was one of the very few early scholars who studied the art forms of Jainism in all their splendorous forms. As the Director General of Archaeology in India he was instrumental in forming the antiquities section of the National Museum in Delhi. His research on certain groups of antiquities at the National Museum revealed the importance of the objects, and thus made the Museum well known. Only after the formation of the Section were more detailed studies of the antiquities of the Museum undertaken. He conducted research and wrote extensively on various subjects during his tenure as Curator of Archaeology at the National Museum, New Delhi. The present volume was part of the Presidential Lecture delivered during the All-India Jaina Sasana Conference, 1944 at the occasion of the 2500th Anniversary of the First Preaching of Lord Mahavira Swami. The book was very favourably received and still continues to be both a scholarly and a popular introduction to the Jaina Manuments spread across the country.